When you last left me, I had just zested 3200 lemons. Okay, it felt like that many. It was maybe more like 32. They were taking up a lot of room in my refrigerator, looking naked without their bright yellow coats, and I knew I had to use them in some capacity very soon. Look at those sad little things! My attempt at lemon chicken was only appreciated by two out of five family members, and I was one of those two, so I will not bother to share this culinary delight with you, other than to say that ten lemons is probably six lemons too many if you’re making lemon chicken. 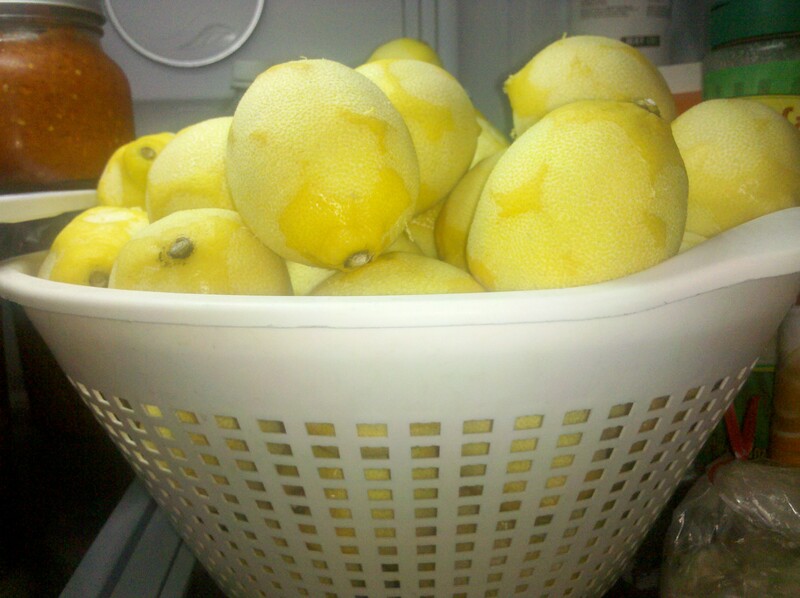 I was starting to feel a little resentful about the pressure to use my lemons. I did have book club last night, so I decided to make a lemon cake on a whim. I used to feel like lemon cake was one of the least appealing cakes there is, but I was wrong. Oh, I was very wrong. I should have known Ina would never forsake me. Unless my book group was just being polite or it was the alcohol talking, people seemed to really like it. And I just polished off a very generous he-man sized piece of cake (shown below), so clearly I have changed my opinion about lemon cake. Thank you, Ina! For the glaze, combine the confectioners’ sugar and the lemon juice in a bowl, mixing with a wire whisk until smooth. Pour over the tops of the cakes and allow the glaze to drizzle down the sides. 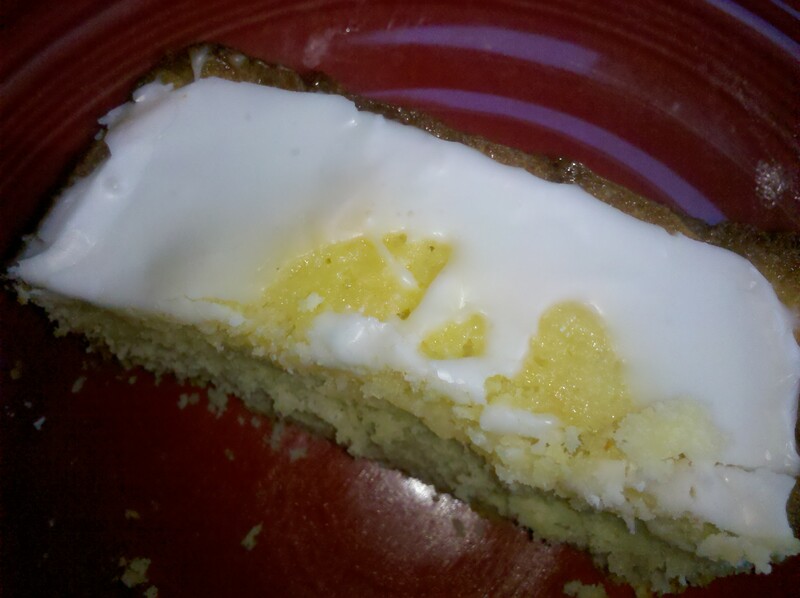 This entry was posted in Desserts and tagged Ina Garten's lemon cake, lemon cake, lemon pound cake by Mom Mom's Apron. Bookmark the permalink. My grandmother (Granny) was famous for her lemon supreme cake. Not sure of her exact cake recipe but she also had a lemon/sugar glaze for the top of it but one of the tricks was to take a long skewer and poke holes in the cake so that the glaze drizzled down not only on the outside of the cake but down into the middle of the cake. Also, her cake was a bundt cake recipe (I inherited her bundt pan and I really should get the recipe from my mom and make it some time in the future).